Over the traditional business models, on-demand economy has swiftly established its position by offering people best services as and when they demand. This new trend for business is known as on-demand, which has made revolution for the way most of the businesses serve their customers and also growing rapidly using the advantage of advanced mobile technology. Nowadays, mobile apps are not only for chatting or playing game or communication, but also become an efficient medium to grow your business as well as make your personal and professional tasks efficiently and quickly. It becomes possible with the help of on-demand servicing apps. On-demand apps like Uber serve you quickly at anytime and anywhere with your demands. For instance, think about the situation, in the evening at 6 pm, if you receive an immediate call from your best friend giving you an invitation for her anniversary party at 8 pm for the same day. Now, it becomes quite difficult to go at the beauty salon and get ready to attend the party while handling some pending work at home. In such situation, on-demand services work faster than your thinking; you just call Uber for Beauty Services, STYLEBEE (or such other). Once you book an artist after review their work, the artist attends you within defined time and get you ready on-time to attend the party. Don’t you feel surprised? Let’s talk about another instance, if you are on a picnic place with family and suddenly, you think to make your day memorable. With PhotoSesh (the Uber for photographers) can easily accomplish your dream. It allows you to immediately find nearby photographer. You can pick the photographer that suits your budget and meet your requirement and book them. Within a given time period, you will find your selected photographer to click you on camera. Now, you must believe the power and convenience of on-demand apps. If you are dwelling in a metropolitan city or densely populated area having a complication of parking, traffic and other problems, it is understood that to go out for shopping become a horribly complicated, especially when you become tired from whole day hectic office work. Such similar situations create a need of on-demand services as follows. Nowadays, more businesses are investing in such services that becomes an essential part of day-to-day life of people, which can easily available to them at their convenience within their expectation as well as within their price range. Awareness of Services – People should get aware about the accessibility of on-demand services in order to make it reachable to everyone who is looking for such services. With changing behavior of customers due to advance smart phones which offers one-stop solution for everything they need to call, email, chat or video call and much more. It habituated people to get everything instantly and easily like search in Google. Today, the leaders of on-demand market have crafted winning business model in order to satisfy the need of customers in a scalable, efficient and cost-effective manner by leveraging technology advantages. 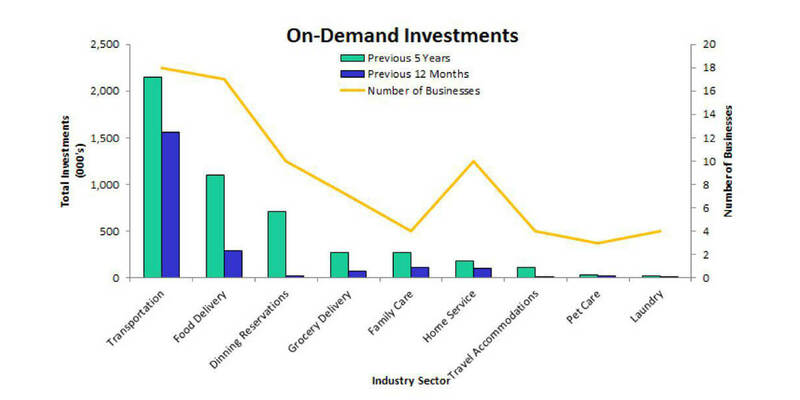 Consumer’s behavior is the major factor that has created the niche for on-demand services. 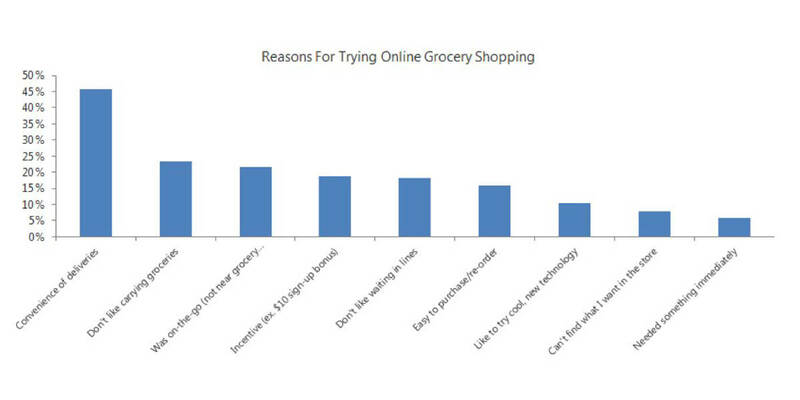 Based on one survey for reasons of online grocery shopping, approximately 45% people opts it for convenience. Thus, greater convenience, time, access, satisfaction and simplicity become key factors that enable growth of on-demand services. Smart phone becomes a 24/7/365 needs of people nowadays, and become inclined to use it for every possible task, such as reading news, education, listen music, playing games, email, chat, find location and much more. Hence, with the availability of every possible handy service, most of people utilize their mobile app to get services instead of finding it outside and spend their valuable time and money on it. It offers personalized experience to get the instant services whether going outside and find it. According to The On-Demand Economy, there is over $4.8 billion investment in on-demand companies in which $2.2 billion was invested in last year only. The financing of the transportation industry is $2.1 that includes $1.2 billion of Uber. Thus, on-demand apps becomes a future trend for swift business growth, if comprehending the need of consumers and fulfill it successfully comprising all essential criteria for which it design to serve your end-users. 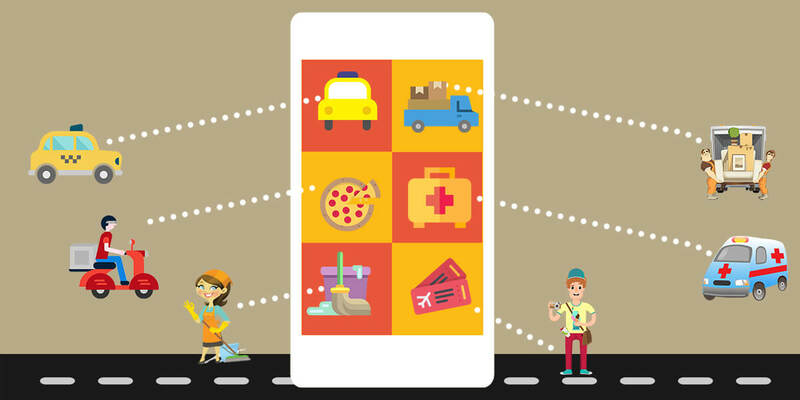 On-demand apps become a future trend for swift business growth as it offers an opportunity to gives your customers personalize experience to avail their desired services at their convenience. The other reason for the success of on-demand apps is that it comprehends the basic demands of consumers and finds the ways to accomplish it successfully. Recent mobile technology has provided consumers a fastest and efficient way to shop their product or services. An expert on-demand app development company offers your business best solution to introduce a new on-demand app in the market successfully and profitably. How to Develop a Successful Dating App to Defeat the Competitors?